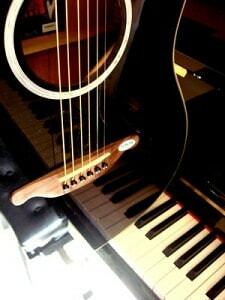 Piano vs Guitar: Which is Easier to Learn for Beginners? As a piano teacher, there’s is naturally going to be some bias here. But after so many years working at Elite Music Academy, I’ve been asked hundreds of times about piano vs guitar lessons for a beginner. In short, I believe the piano is easier to start with especially for young kids and adults with little time or patience. Aside from that, there are many pros and cons to learning each instrument first, and it boils down to which sounds the most appealing how hard the student is willing to practice. Who Are The Best Piano Teachers in Toronto? If you’re looking for the best piano teachers in Toronto or East York, we recommend Nick Maclean for students who love jazz. For aspiring composers and classical players, Constantine Caravassilis would be a great match. If you’re more into pop and R&B, you’ll love studying with Dana Jean Pheonix!